Old Mahabalipuram Road is fast-emerging as one of Chennai’s most highly developed areas. The locality is dotted with a plethora of residential projects and renowned commercial complexes, making it a hot spot for both property builders and potential home-buyers. Post RERA, buyers have an advantage of transparent transactions. If you are looking for a residential locality in Chennai to invest in, the spectacular neighbourhood of Old Mahabalipuram Road should top your list. There are a variety of features this area has to offer that can cater to all of your needs. Read on to know why real estate investors are flocking to this quintessential locality to find the home of their dreams. OMR has witnessed a rapid development rate in the past few years. 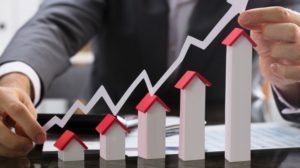 This has led to peaking property prices, making it the right time for you to strike gold and make an investment. 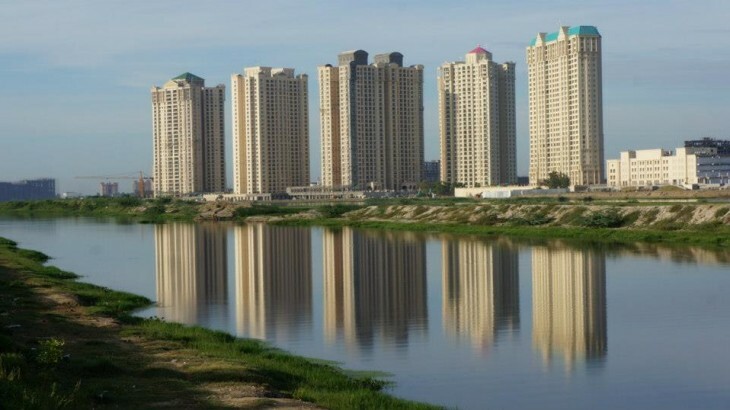 The stretch of OMR – from Madhya Kailash to Navalur – has great connectivity to the inner areas of the city like Adyar and Guindy. Furthermore, the suburban railway services and bus services provide a seamless transportation network to the nooks and corners of the Chennai. Due to its close proximity to Chennai’s Anna International Airport, OMR is the most sought-after location for frequent travellers. Additionally, OMR is rightly called the IT hub of Chennai with major IT parks like Tidel Park, Ascendas and RMZ Millenia situated in and around the region. This IT boom has made a huge impact on the real estate market of the locality. The area offers close proximity to top-notch educational institutes & multi-specialty hospitals. OMR’s cutting-edge infrastructure is what makes it stand out from the rest of the city’s landscape. State government has given priority for water and sewage connections on OMR… Many new infrastructural projects like Financial City – Shollinganallur and Sports City – Kalavakkam and Tiruporur are being developed right now. Many popular franchise and gourmet restaurants have set up shop in OMR. Some of the best and popular restaurants in the vicinity include The Farm, Moti Mahal Delux and Barbeque Nation, to name a few. Many franchises like Burger King have also opened up here. With such diverse restaurants and eateries, it is safe to say that there is something for everyone in this stunning locality. Many apartments and townships have lots of amenities that make them dream homes for the residents. Reputed builders like House of Hiranandani offer amenities like state-of-the-art sports grounds, gymnasium, swimming pool and so much more. With these amenities, a luxurious and comfortable lifestyle for residents is certain. These are some of the many features that OMR has to offer. 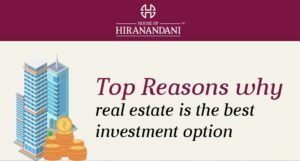 Whether you are an NRI looking to invest in real estate, planning to buy for personal use or wanting to invest in a second home, contact us at House of Hiranandani and we will help you find a house you can call home.